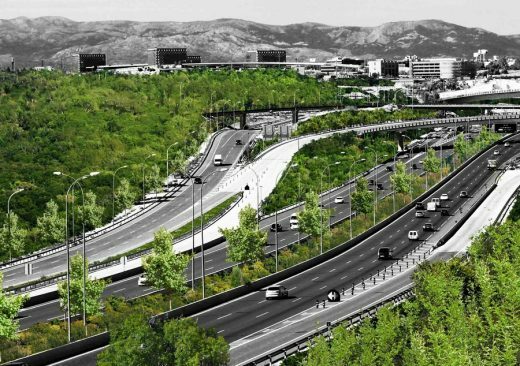 Arup launches “Madrid + Natural” a series of guidelines to tackle the global concern of climate change through multiple local solutions. 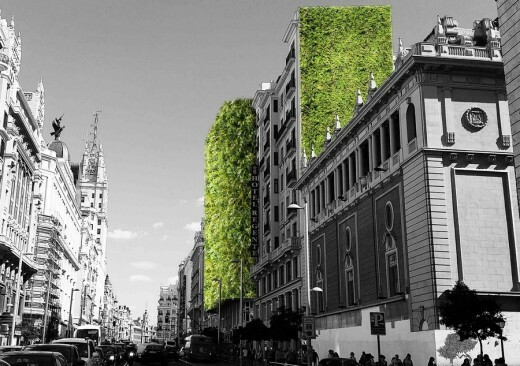 The work is part of a collaborative assessment to the local City Hall and includes ideas for greening buildings, infrastructure, streets and open spaces in the city of Madrid. 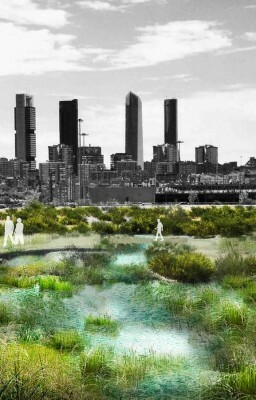 This forward-thinking report undertaken by Arup’s Foresight + Research + Innovation, Madrid Sustainability and Master Planning, and Landscape Architecture teams provides multiple nature-based solutions to regulate Madrid’s urban environment and respond to problems like pollution, increased heavy storm events, drought , periods of abnormally hot temperatures and local biodiversity loss. 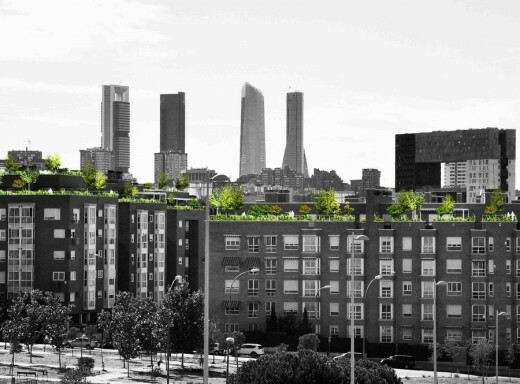 As cities face increasing population density and shortage of space at ground level, Madrid + Natural highlights the importance of green urban infrastructure as a way to protect buildings from thermal fluctuations and extreme weather. While green walls and large-scale independent vertical infrastructure can improve air quality and acoustics, sustainable roofs can increase the efficiency of PV panels by reducing ambient temperatures, provide cooling, and create habitat for biodiversity. Low-cost ideas like painting roofs white is another simple way to reduce energy consumption of buildings during hotter months by reflecting up to 90% of received sunlight. 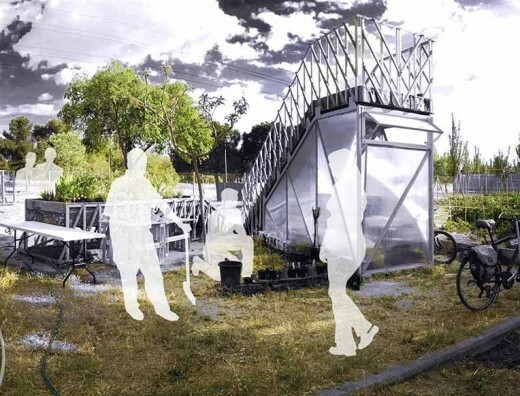 As concerns rise over instability of the global food trade and lack of space for agriculture, urban farming can also be implemented on rooftops and unused spaces between buildings, optimising the use of urban space. In a bid to reduce the carbon footprint of this city, the report also suggests greening of existing infrastructure like transport links, empty spaces, bridges or obsolete infrastructure as a way to provide natural habitats for wildlife and spaces for human enjoyment. 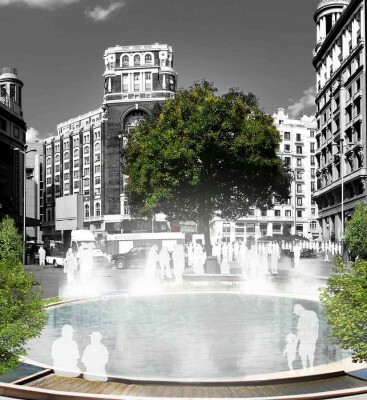 The integration of water features like fountains, mist, brooks and waterfalls into public realm design can provide a range of benefits, like reduce local temperatures and mitigate the urban heat island effect. 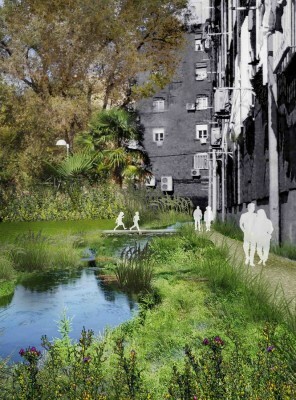 Madrid + Natural also highlights the importance of retrofitting unused social infrastructure to reinvigorate neighbourhoods and improve wellbeing. Low maintenance greening techniques in close consultation with local communities can help overcome maintenance challenges whilst strengthening a sense of ownership. -Juan Azcárate, Deputy Director Energy and Climate change, Madrid City Council. Street greening and urban forests provide cooling, shade, water and air filtration, and stormwater management and helps to increase the diversity of local flora and fauna. 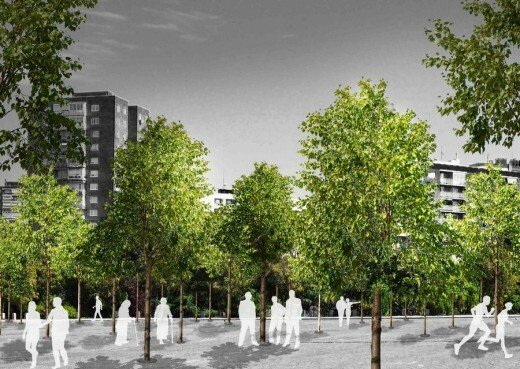 Arup predicts that in the future, more effective policies will be needed to protect or restore urban forests.